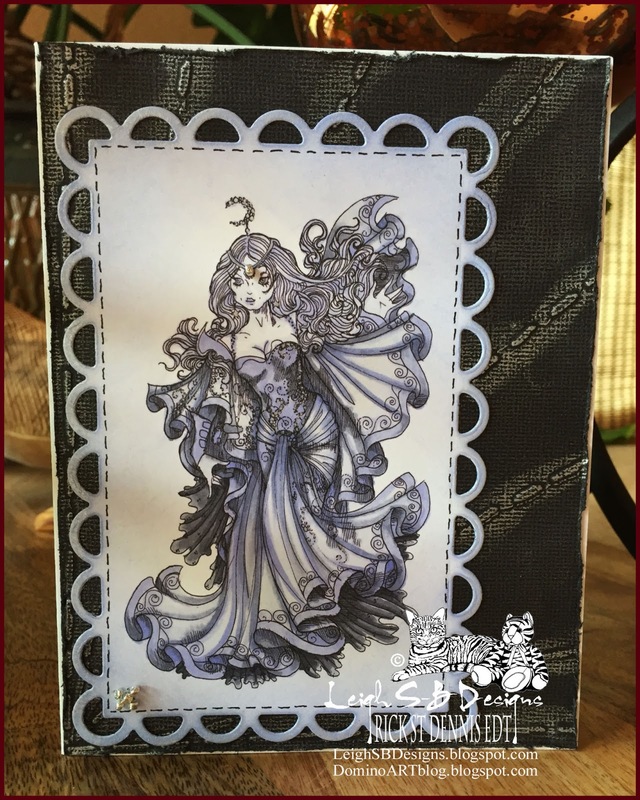 Velvet Paw Creations: Goddess of Moonlight - card for Rick St Dennis EDT! 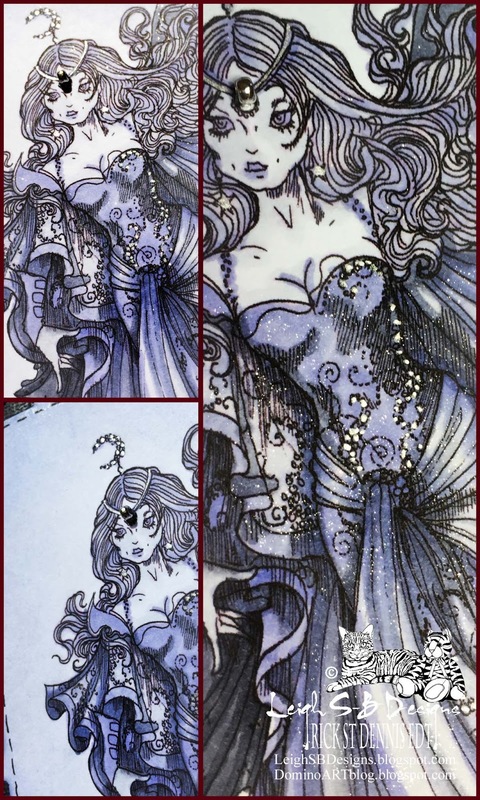 Goddess of Moonlight - card for Rick St Dennis EDT! Today is my turn to share some design team inspiration for the Rick St Dennis EDT over on our Facebook Group, Rick St Dennis Digi Fans and Friends. 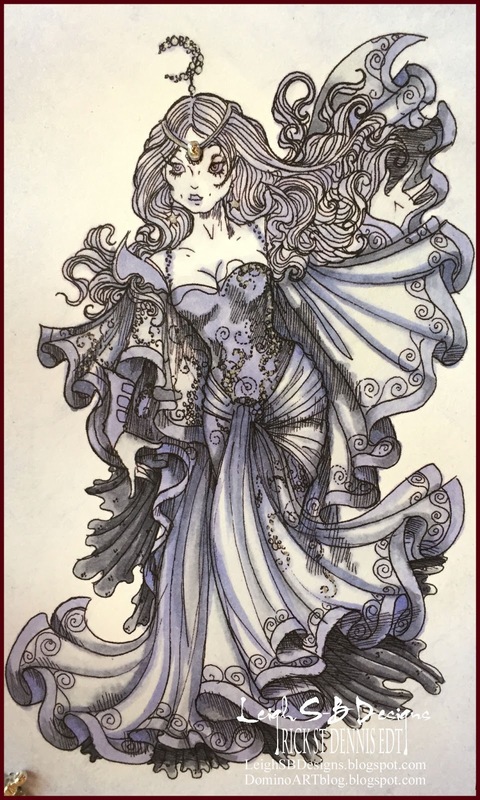 This gorgeous digi is called The Goddess of Moonlight on Evening Fog...maybe that should be "in" evening fog, I don't know LOL ;0) Anyway, she's a gorgeous gothic-esque goddess and I couldn't resist colouring her in shades of purple and gray. I printed her out on Neenah cardstock and coloured with Copics with touches of metallic silver gel pen for a bit of bling. 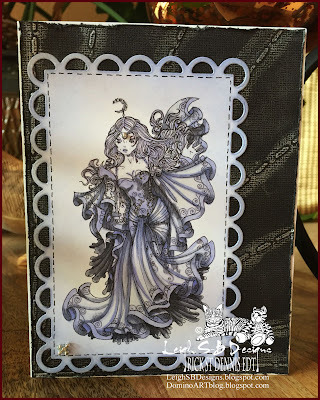 I used the Spellbinders scalloped die cut on her and applied Shaded Lilac Distress Ink and dabs of silver Platinum Planet Brilliance ink to the decorative edges. 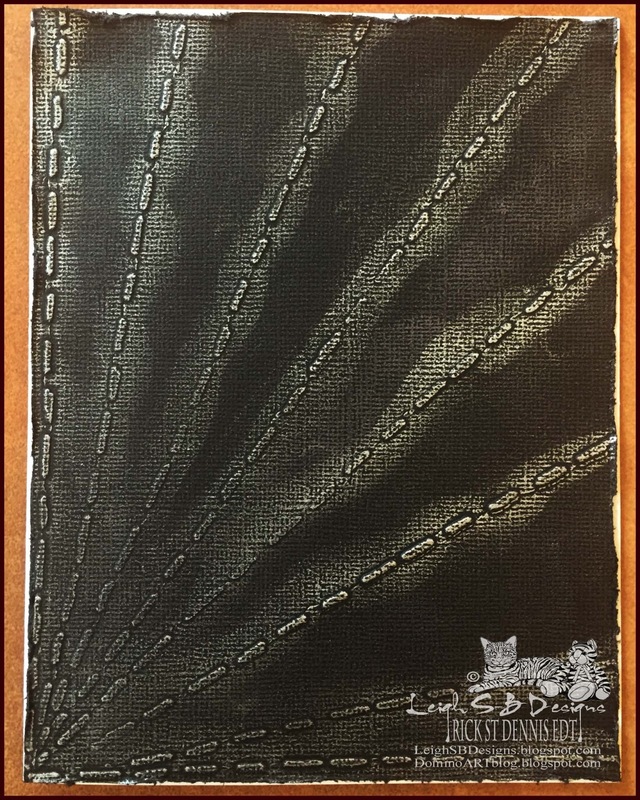 I made this card as inspiration for our April Facebook challenge, You had me in Stitches, so I used Tim Holtz Alterations straight stitch embossing folder to make this black background panel and used the stitches to create the moon beams. I randomly applied metallic silver rub-on creme to the panel to enhance the texture of the cardstock as well as the embossed design. I also drew stitches with a black Copic fineliner and completed my project with a few silver glass seed beads stitched on too. A closer look at the details! Thanks for stopping by to see my project today and hope to see you over at Rick St Dennis Digi Fans and Friends!